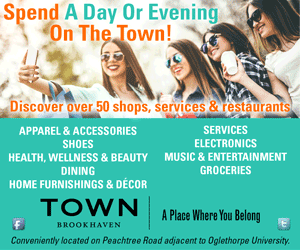 Atlanta has a plethora of outstanding coffee shops to choose from, but sometimes the thought of sitting in traffic before we’ve had that first cup can be daunting. Coffee at home almost never tastes as good as a cup from a shop, but Ren Doughty, the outreach and customer support coordinator of Batdorf & Bronson on Midtown’s Westside, is out to change that. The self-proclaimed professional java geek has worked in the coffee industry for nearly 20 years and knows a thing or two about getting a cup brewed to perfection. Almost as important is the grind. “You can take the best coffee in the world, and if you’re not using the best grind for your brewing method, the coffee will not be what it could have been,” Doughty says. He recommends investing in a burr grinder, as opposed to a blade grinder. Whereas blade grinders are likely to produce inconsistently sized grinds, a burr grinder yields uniform results. “For most people who don’t grind their coffee at home right before they brew it, the number one thing they can do is to get a burr coffee grinder and grind the right amount as needed,” Doughty says. Of the three brewing methods— drip, pour-over and French press— Doughty loves the French press for people who are just getting their feet wet in the world of at-home brewing. “I have learned to love the body, flavor and mouthfeel of what’s called insoluble solids in French press coffee,” he says. Each process has its merits, though, so it’s all about what works best for you. Similarly, while he makes flavor recommendations for each brewing method, he also reminds people to trust their palate, try different coffees and take notes of what they like and don’t like. While coffee snobs may look down on the good, old-fashioned drip coffee pot, Doughty asserts that it’s a perfectly fine way to make coffee. “If they’re well-made coffee pots from a reputable company, there’s no need to demean them because they’re great,” he says of the classic carafes. 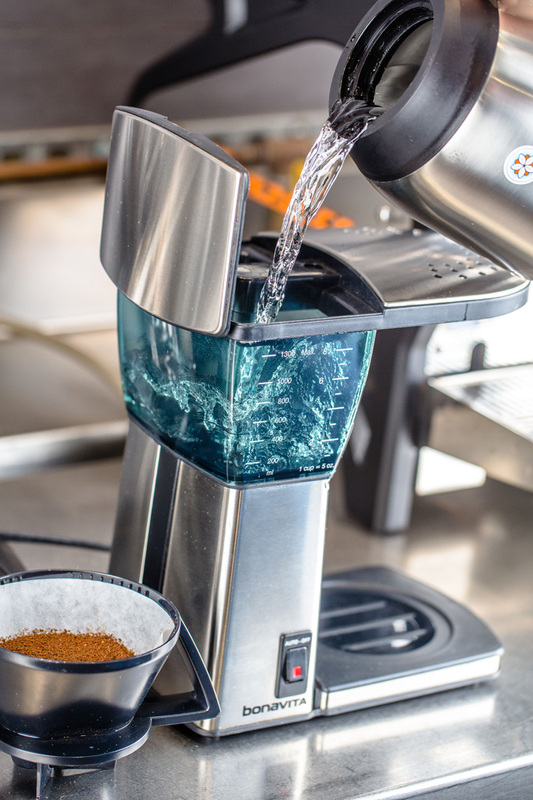 Just make sure your coffee pot is heating water up to 200 degrees The industry standard for a drip coffee pot’s grind is number 8, which is neither too fine nor too coarse. He recommends using Bonavita’s coffee pots because of the company’s attention to detail to oft overlooked factors like temperature and wetting the grounds precisely. 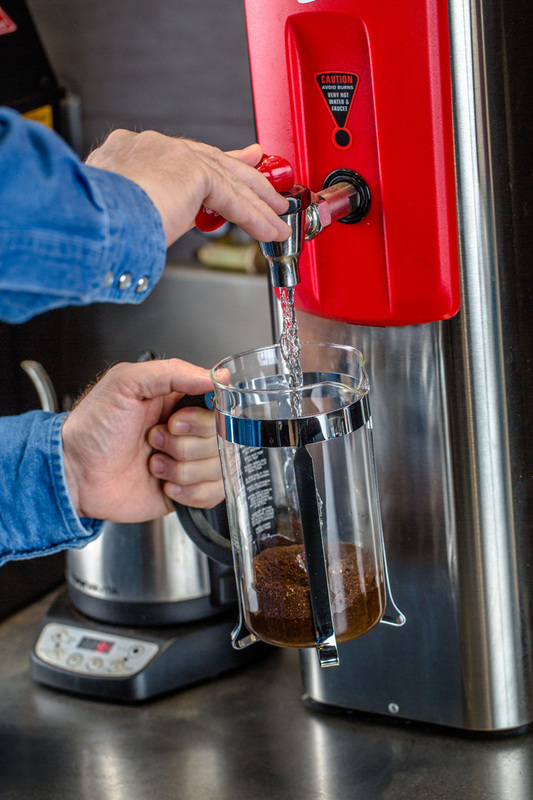 You’ll want to use a coarse grind for the French press, but, Doughty says, “You’re in charge of how much coffee you put in with your water.” Put the ground coffee in the French press while the water is coming to a boil. Let the water cool to about 200 degrees, then pour it over the coffee in the press, stirring the grounds and the water together. Set a timer for three minutes and 45 seconds. “At this point, you’ll see a two- to three-inch separation with your wet coffee grounds at the top,” Doughty says. “I’ll leave it for one to two minutes and then gently stir the grounds mixture.” Press down and—voila!— the perfect cup of coffee. 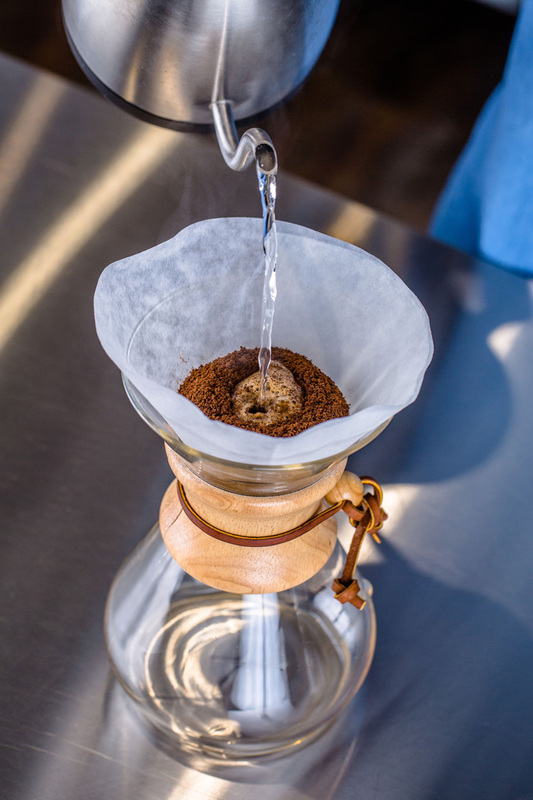 When prepping for a pour-over, Doughty recommends boiling water in a glass kettle. “There’s a school of thought that says when you boil water in a metal vessel—whether it’s a pot or a kettle—you’re imparting some of the flavor of that metal into your water,” he says. The glass kettle adds no additional flavor. After the water boils, let it cool briefly until a digital thermometer shows that it’s at 200 degrees.